From the Midwest, with love! Since 1905, our sauerkraut is still made in the same authentic, home-style way that you have come to know and love. Read about our humble beginnings. There are hundreds of traditional and unique Frank’s Kraut recipes. Check back frequently for tasty & flavorful ideas! 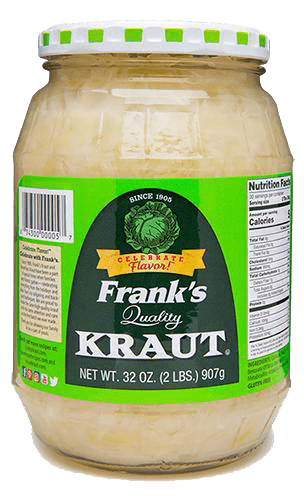 Zesty to sweet, Frank’s has a Kraut for every pallet and every occasion. Celebrate with us!